WeatherTech UnderLiners are designed exclusively as a protective layer between the truck bed and an additional rigid Bed Liner. Do not use the UnderLiner without installing an additional rigid Bed Liner to secure it in place. So you just purchased your shiny new 2014 Ford F-150 SVT Raptor and you intend to do some seriously heavy duty hauling. You passed on purchasing the WeatherTech TechLiner because you really have your mind set on a "drop-in" bed liner for the full protection you feel you need, but wait! Did you consider protecting the bed of your truck from the ravages of the rigid bed liner rubbing against the painted surface? Introducing UnderLiner – digitally designed to perfectly match the contours of your specific pickup truck bed. 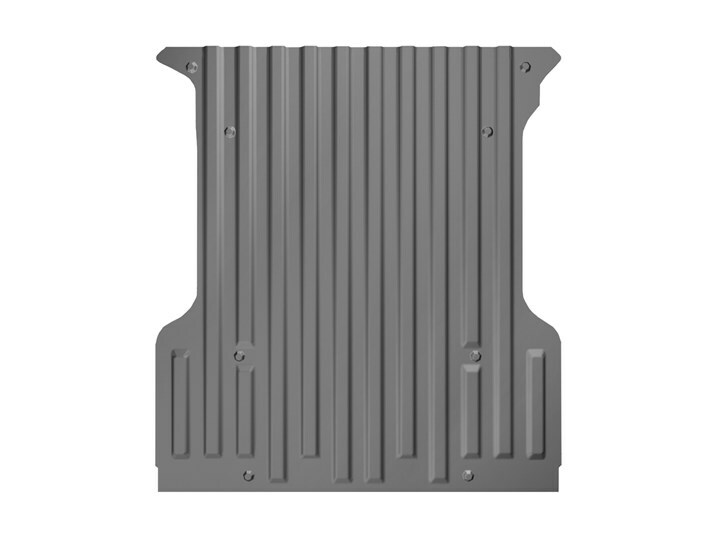 WeatherTech UnderLiner provides added protection by creating a .065" thick semi-soft protective barrier between the rigid drop-in bed liner and the painted surface of your truck bed. Can I use the UnderLiner instead of the TechLiner? No. This product can only be used with a rigid drop-in bed liner. How thick is the UnderLiner? The UnderLiner measures 0.065" thick. Can I use the UnderLiner with the TechLiner? You cannot use the UnderLiner with the TechLiner. The UnderLiner is designed to work only with a rigid drop-in bed liner.